Click the button below to add the Men's No.1 Body Wash to your wish list. We created a wonderful, refreshing body wash for men that cleanses and moisturizes skin while maintaining its health and softness. Our Body Wash for Men is made with botanical ingredients that gently cleanse skin while leaving it smooth and lightly scented. Camellia Seed, Avocado, and Black Currant Seed oils nourish and hydrate dry skin with nature’s best emollients for lasting moisture. This moisturizing body wash for men will leave skin hydrated, healthy looking and smooth. Replenishes moisture and will leave your skin soft and hydrated. 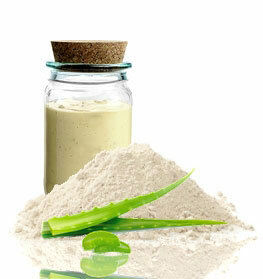 Aloe Vera nourishes, moisturizes and smooths skin. Nutritively fresh and made with pure ingredients derived from nature. Nutritively clean without stripping the skin of its nutritive oils. 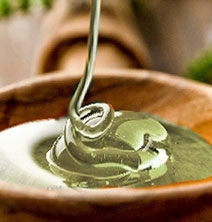 Nutritively moisturizes with Aloe Vera, Avocado, and Coconut Oil. Nutritively scented with Orange Peel and Lemongrass. Almond Oil makes skin healthier, delays aging and removes impurities and dead skin cells. Camellia Seed Oil is rich in fatty acids and antioxidants that keep skin soft and moist. Avocado Oil is filled with antioxidants, fatty acids, and vitamins and acts as a moisturizer. Daikon Radish Seed Oil provides hydration to the skin and provides instant freshness. Black Currant Seed Oil protects skin from free radical damage. • Moisturize skin with our Nutritve Body Lotion. • You can mix and match our skin products. Lathers well with a bath puff. Leaves my skin feeling healthy & clean not sucked dry. Economical, lasts longer than equivalent cost of bar soap. The mens body wash works very well. It does not dry my skin and it leaves a nice scent. You must shake this product before each use, otherwise it will dry your skin. I will buy it again. I like the smell and it does moisturize my skin before I apply lotion. I am on my second bottle pretty soon I will need a third. This product is amazing. I suffer from red patchy skin. After receiving 3 days my skin had improved greatly. I have used prescribed treatments and this wash worked way better. It is a fantastic product. I use this product as handwash and every guest that uses it love the scent. A great luxury wash! I bought this body wash for my husband to try (but more for my own benefit because I can't stand the overwhelming smell of body washes filled with perfumes and dyes) and he loves it! I think he was worried it would smell "girly" but the scent is actually very manly and not overwhelming by any means. I will definitely buy this for him again! i use this wash daily and it leaves your skin feeling clean and soft. Does not strip away moisture and the feeling is simply clean. Like it so far. It is pretty good if you are a guy that like a simple body wash to keep your skin smooth and clean. I like this body wash. Leaves my skin healthy and smooth. Will repurchase. Good stuff, that's why I keep buying it. Lathers well with a bath puff. Leaves my skin feeling healthy & clean not sucked dry. Economical, lasts longer than equivalent cost of bar soap. The mens body wash works very well. It does not dry my skin and it leaves a nice scent. You must shake this product before each use, otherwise it will dry your skin.